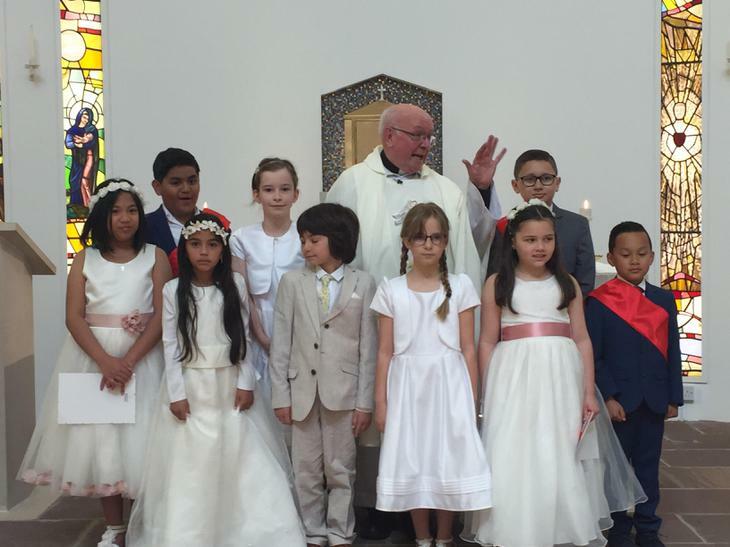 The First Holy Communion Children looked beautiful on their special day Celebrated at our Lady and English Martyrs Church. 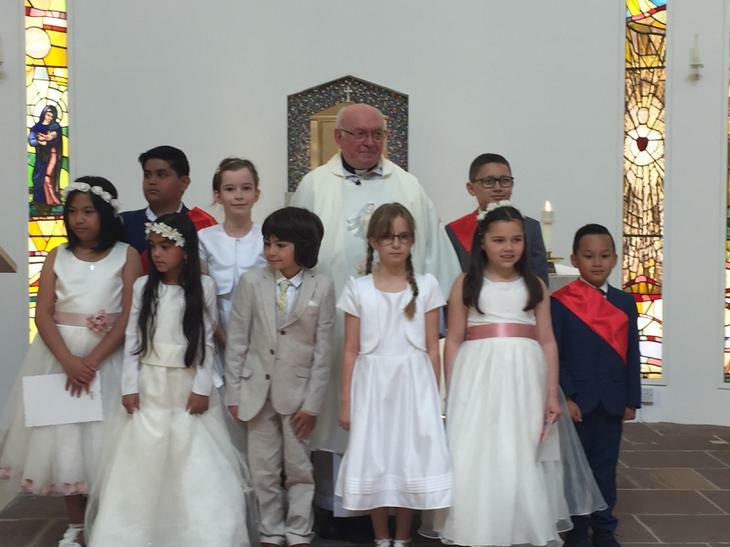 All of the children taking part had a job to do. Clea did the reading and Nathan, Phoebe, Charlotte and Kira all doing the bidding prayers. They were word perfect.